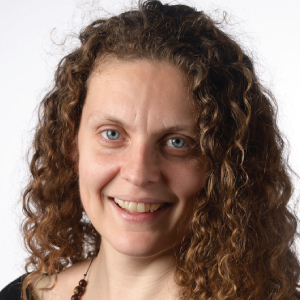 Dr Bindi Clements is Instructional Design and Efficacy Manager for Wall Street English, and is a regular speaker at the InnovateELT conference hosted and co-organised by Oxford TEFL. She has previously designed and managed a tutoring team for an online TEFL certification course, and has developed course materials and tutored online for over twenty years for the University of London External Programme. She is currently an online student herself, studying for a Masters in Online and Distance Learning with the Open University. In this blog post she shares some of her secrets for successful online learning. With the huge range of professional development courses now offered either entirely online or as a blended programme (a mix of online and face-to-face), upgrading or refreshing your teaching skills has never seemed more accessible. But how much can you learn from taking a course online? As with any study programme, the effectiveness of an online course depends not only on the quality of the learning design, but also on choosing the right course for you and engaging effectively with the course. In this blog post I share five tips for getting the most of online learning that I’ve picked up both from my experience of being an online tutor, and from being an online student myself. We all know that there are loads of practical benefits to taking some (or even all) of a course online. The wide range of courses available means you can select a course which is a good fit for your needs, when you’re available to study. This flexibility means it’s often easier to study an online course alongside your job, so you can apply what you’re learning as you go (not always the case with an intensive face-to-face course). You’ll also be able to connect with experienced tutors and other teachers from all around the world while you’re studying. However, this flexibility does mean that rather than being told when to turn up to class, you’re mostly going to need to set your own study timetable. One of the first things you’ll need to think about when you sign up for an online course is when you’re going to fit in studying around your other commitments. Find out before you start approximately how many hours per week you’ll need to spend studying, plan a realistic study schedule, and stick to it (although see below for more on this). If you’ll need to spend ten hours a week studying, then make sure you’re prepared to give up, for example, a couple of evenings a week, plus a good chunk of at least one day at the weekend. The flexibility of studying when is convenient for you (rather than having to turn up to class when you’re told to) sounds great in theory, and having a well-planned study calendar is a good start for making sure you keep up with your course. The trouble is, when given the choice, the ‘convenient’ time for many of us to study unfortunately tends to be ‘mañana’. Selecting a course that you’re really motivated to finish will certainly help, but choosing a course that gives you support from an experienced tutor is a more foolproof way to help make sure you stay on track. Make good use of your tutor during your studies, and reach out to him or her if you know you’re falling behind. Really importantly, let your tutor know ahead of time if you think you won’t make a deadline. Depending on the course, there may be some flexibility for submitting assignments, and if there isn’t, your tutor can help to support you to make sure you submit on time. Online study can be done not only anytime, but also anyplace. However, this doesn’t mean that any place is necessarily the best place to study. Some of your learning can for sure be done on your train/bus/metro ride into work – activities such as reading and taking notes, watching videos, and responding to discussion board posts. But when you need to do some mental heavy-lifting (e.g. when you’re writing an assignment), you’ll need to study somewhere with as few distractions (both online and offline) as possible. Just as important as your physical study environment is your virtual learning environment. One of the benefits of taking a course online is the amount of useful online resources you’ll come across that will be invaluable for your teaching. But think ahead of time about how and where you’re going to save all those useful websites, tweets, downloads, etc. Set up bookmark folders in your browser, or use one of the many online bookmarking tools available, and be organised when saving your study notes. If you’ll be downloading research papers as part of your course, you might also want to consider using an academic referencing software tool. Being organised, and setting aside time for keeping things that way, will not only make things easier while you’re studying, but will also mean you’ll get a lot more lasting value out of your course. Some of your online course will probably involve reading and/or watching videos and taking notes, and you may also be able to attend live online tutorials so you can connect with your tutor and/or other classmates. But most online courses, just like face-to-face courses, will have assignments that you’ll need to work on, and these are of huge benefit to your learning. Unfortunately, for most of us writing is way harder work than browsing the internet and taking notes, and we’ll do anything to avoid the pain of starting to write. Getting going on your assignments can be particularly challenging when you are doing an online course, as there are plenty of other ‘distraction’ activities which you can use to trick yourself into thinking you are doing vital studying, when really you are trying to do anything but actually sit down and write your assignment. Set yourself a time limit for searching the internet for useful links, articles, blogs etc. to help you write your assignments (we all know surfing the web is a time-sink), and don’t feel like you need to have found absolutely every single relevant article on a topic before your start writing (in any case an impossible task given the amount of information available online). Stick to a few well-chosen resources and start drafting your work well ahead of the assignment deadline. If you’re taking a course in a group, the other students studying with you can be great to learn from and bounce ideas off, and are also fantastic for emotional support around assignment submission and/or exam time. You’re likely to have online forums to contribute to, and while it’s tempting to skip contributing to these, there’s enormous value in sharing and getting feedback on your ideas. If you feel nervous contributing to discussion forums, start by posting a few responses to existing comments. Try to be open minded about sharing your experiences, and be kind and respectful to your peers. Others in your group will appreciate your interest in their posts, and you’ll begin to build rapport with other students. If you’re studying an online course as an individual without a study group, there may not be forums within the course you can contribute to, so choose a course with one-on-one support from a tutor. There are still often opportunities to connect with other students or alumni from the course using social media. Make use of these opportunities – not only can they help support your learning, but the connections you make will benefit you well beyond completing your course. If you want to refresh or upgrade your teaching skills by taking an online course with support from an expert team of tutors, explore the range of Teacher Development Courses offered by Oxford TEFL. To read more tips for teachers by Bindi check out the Wall Street English blog. This entry was posted in Careers, Lesson planning, News, TEFL, TESOL, Tips by Fran Austin. Bookmark the permalink.